Update: Berlin: What? How? Why? The summary from our second annual meeting, and the impact Berlin had on us. Our invitation-only annual meeting brought together SME specialists like Hetzel GmbH and APD International with OEMs like Volvo, Lexmark and Siemens Healthineers - as well as with trade associations such as ETIRA and FIRM. Alongside them were service providers RAI, syncreon and Panalpina. In a Design Centre setting on the seventh floor, overlooking Bertold-Brecht-Platz, we presented the latest on the publication in Japan last week of the long-awaited International Resource Panel (IRP) evidence on product value retention. This included a video of IRP lead author Nabil Nasr especially recorded for our meeting, and a video by our principal academic networker Erik Sundin on the research landscape. But it wasn’t just to offer information that we blended small and large companies from different sectors. It was to run a series of workshops designed to tease out the bigger issues that might affect remanufacturing during 2019 and to help shape our work priorities. Restrictions on international trade, rising commodity prices, changing procurement policies, eco-design proposal, modulated fees and UN Sustainable Development Goals all featured in the PESTLE analysis, but where did we end up? From 5.30 pm we gathered at Vincent’s piano bar near Bertold Brecht’s Berliner Ensemble theatre. There, we put the finishing touches to our recommendations. Recommendations that will next be presented to our five-person steering group meeting at the end of November in Brussels. So why did we choose Berlin? Not just because we like the resource efficiency work of Berlin-based VDI ZE. There were other reasons too: Berlin is a city that repurposes, remanufactures and reuses. 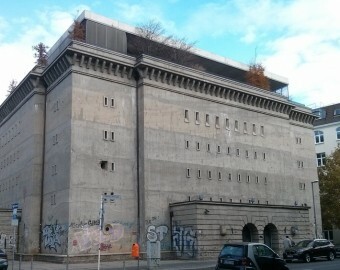 Take, for example, the Boros Collection, just around the corner from our meeting: modern art displayed in a second world war bunker, with a luxury apartment built atop it as a home for the collectors. It had to be Berlin. Our next annual meeting will be in Amsterdam in June 2019. Enquiries about corporate membership are welcome.